Insurance Innovation Reporter (IIR) is a business-to-business media brand focused on the insurance industry’s use of information technology in support of business goals. 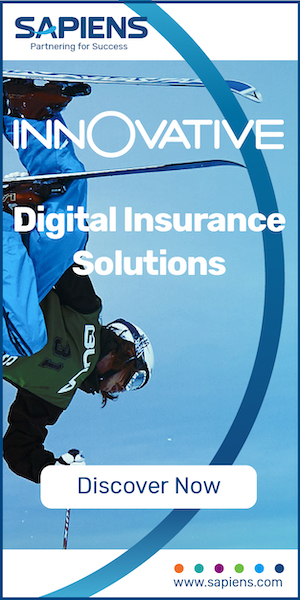 We offer resources for insurance IT strategists, including news, thought leadership, white papers and more on our website and through our weekly digital newsletter. Our primary focus is on the carrier, the manufacturing side of the insurance industry, including the property/casualty, life and annuities, health, and reinsurance sectors. More explicitly, our target reader is the insurance executive charged with either making decisions about technology investment or implementing those decisions. These readers include CIOs and other C-level executives, along with senior technology executives responsible for various aspects of technology evaluation and execution. Our experience is matched by few, our contacts by none. In addition to our regular news reporting, feature writing and analysis, we provide commentary by a variety of expert sources, including analysts, consultants, vendors and the insurance executive peers of our audience. We also host live webinars and in-person executive symposiums for more in-depth exploration of important topics. Anthony O’Donnell is Executive Editor of Insurance Innovation Reporter. For over a decade he has been an observer and commentator on the use of information technology in the insurance industry, following industry trends and writing about the use of IT across all sectors of the insurance industry. He can be reached at AnthODonnell@IIReporter.com or (503) 936-2803. Teri Ryan is the Business Executive at Insurance Innovation Reporter. Since its inception, she has managed the business side of the magazine and is responsible for contracts, event logistics, communications, etc. Prior to her current role, Teri worked as a freelance technical writer on topics relating to the use of IT in the insurance industry. She has previously worked as a B2B account manager, representing a large specialty chemical firm with her primary clients at multinational companies. She can be reached at TeriRyan@IIReporter.com or (503) 939-5496.